Microsoft’s Xbox One has a new low price of $279.99, and GameStop will sweeten that deal by giving you a $30 gift card with every purchase, because they know you’ll want to buy a game or two for your new rig (unless you just want to put the Xbox One on your mantel and stare at it). Maybe you prefer a PlayStation 4, in which case GameStop will set you up with 50 percent off an official Sony Dual Shock 4 controller. Don’t worry, the controller will not actually shock you. It’s just a nice controller. The new PS4 Street Fighter V fightsticks are also nice, and GameStop is offering them at 20 percent off. These offers conclude on 7/17—and then a new batch of offers come into play! For your chance to win the $250 gift card, send a tweet with the hashtag #AVGameStopGiveaway any time before July 18. (Note: The contest is open to U.S. residents only.) On July 18, we’ll select an entry at random and notify the winner shortly thereafter. 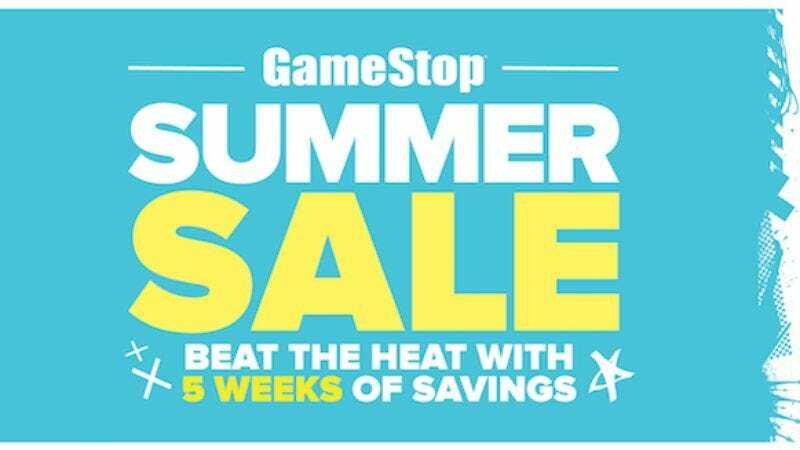 And if you don’t win this week, don’t despair—there will be another giveaway each week for the duration of the GameStop Summer Sale. Good luck!